18th century England, through its social theorist Jeremy Bentham , manifested the European notion of the Panopticon. Now take a jump from the 18th century to current times. If we were to take a look at current European censorship laws would find that there is a long history dealing with the idea of limited information and now-a-days we find that the UK itself is counted amoung the strictest censorship laws (being centered upon the ideas of censorship of motion pictures, video games and Internet sites). For one thing, Iranian people and their supporters are using a computer program dubbed the Tor Project. This is essentially how they have been communicating and connecting to rally those who are unhappy with the current regime of government. Imagine if you would, a secondary layer of internet that is secure and can go past sites that have censors on them. With a simple installation of Tor, your computer becomes part of a greater internet consciousness allowing this new layer more bandwidth by sharing your own. This project is a node of connection that allows more and more information to flow in and out of different revolutionary groups. All you have to do is essentially set the program up and keep it on or in hibernate mode and you will be doing your part in helping such political reactionary groups or simply being anonymous in your own internet dealings. So if you have ever felt the need to have privacy on the internet, downloading programs such as Tor or freegate this is step one. An interesting implication to the idea of a Tor network is that it works based of creating different connected nodes which spread the overall network out in a free and without corporate sponsorship, internet connection. Why might people not want such a thing? For starters it would take money away from the corporations selling internet as a resource. We must ask ourselves in such unique times, why is free information being sold, and why haven’t we been just doing this ourselves? With a constant bridge between each computer that is on, we could have global internet for free. 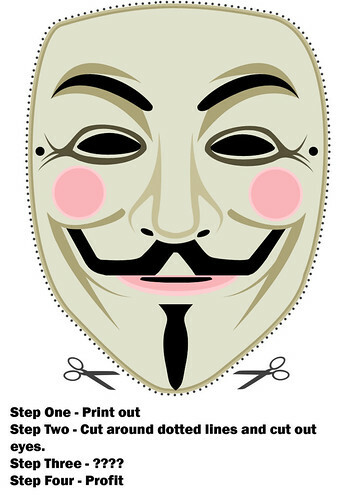 Another funny idea that comes along with the advent of a global, free internet is the idea of the anonymous character archetype. The virtual bully, the villain without a form to attack. We see such identities on websites that have been censored such as 4chan with their /b (or random channel) which is made of individual beings that come together to form the idea of Anon. The anonymous god of the internet, blessing those it chooses to with information, while at the time time tearing down religious groups such as Scientology. With these thoughts in mind we must ask ourselves how we feel about the fact that there are anonymous presences on the internet, actively working in real life to overthrow governments, or simply just to have privacy. In a day and age where privacy has succumbed to the vast machine’s virtual panopticon (the grid), shall we do our part to ensure ourselves privacy? OR is all information simply there to be filtered through by programs and people alike, searching for your patterns and your essential identity? This entry was posted in Culture and tagged Culture, england, internet, Iran, london, UK.